A tributary or affluent is a stream or river which flows into a main stem (or parent) river. A tributary does not flow directly into a sea, ocean, or lake. 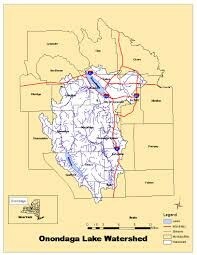 Tributaries and the mainstem river serve to drain the surrounding drainage basin of its surface water and groundwater by leading the water out into an ocean or some other large body of water. 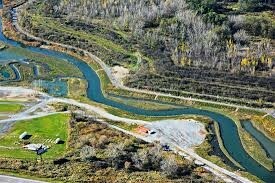 A confluence is where two or more bodies of water meet together, usually referring to the joining of tributaries. 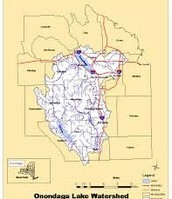 The tributaries flush the lake (replacing old water with new water) rapidly compared to most other lakes. The Lake is flushed approximately four times each year. By comparison, Skaneateles Lake is flushed only once every 12 years. Water leaves the lake through a single outlet at the lake's north end. This outlet flows to the Seneca River and ultimately reaches Lake Ontario. After winter in Syracuse new York we have a lot of snow melting and running down from the hills going into the lake and then it causes flooding. How Does a Tributary Cause Flooding? 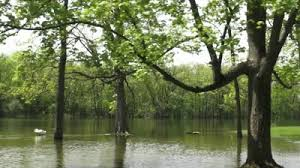 Flooding is caused from rain, snow melting and precipitation, so when the tributaries fill up they flow down to the lake then the lake becomes over filled it starts to flood.